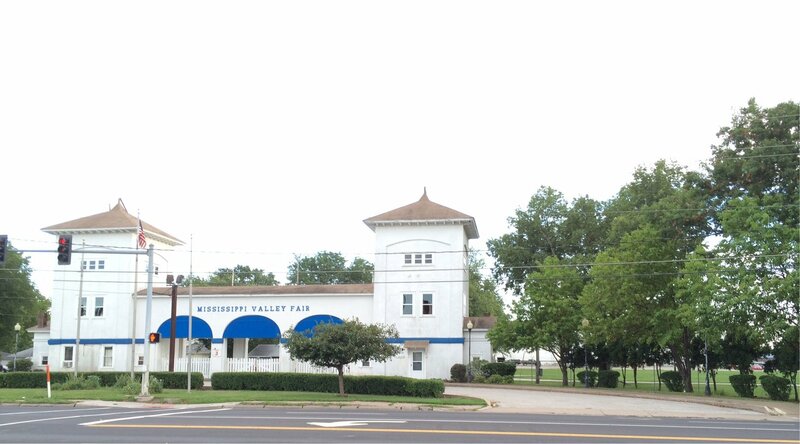 Yesterday after rehearsal I passed by the Mississippi Valley Fairgrounds which is not far from my mom and dad’s house on Ohio Street. On Friday nights we could hear the stock cars from the race track going late into the evening if we had our windows open. Nobody had air conditioning back then. For one week during the summer, the place explodes with activity as the fair goes into high gear with rides and concessions. [Note: It actually was Silver Laughter and Kim was in the band as our drummer. Ex-member, Steve Elliott, was recording the performance.] Before we were Silver Laughter, Jon and I played there in our band which was either Dandelion Wine or the Assassination of Sound. I think the other two members were Steve Lee (whereabouts unknown) on lead and Paul Hardesty (deceased) on drums. We were still in high school, so it had to be around 1966 or ’67. I think Kim was probably in the audience too as the Ludtke family was always supportive of our musical efforts.